“Our mission is to make a direct and dynamic link between our theology and our ethics. In other words, we strive to put the ‘talk’ of our faith into the ‘walk’ of our faith.” While all churches have outreach ministries, Jubilee Ministry Centers have integrated into church life Advocacy, Empowerment, Evangelism and Outreach in a determined effort to improve the lives of poor and oppressed people. St. John’s offers myriad opportunities for all ages to participate in programs that nourish the mind, body, and spirit (see the offerings listed under Jubilee, to the right). 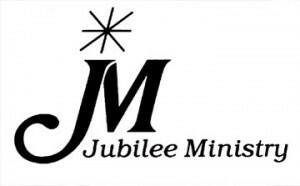 If you feel called to join in one or more of our Jubilee Ministries, please contact our Parish Secretary, Patti Means, at 717-299-1188 or patti@stjohns-lancaster.org. Patti will help direct you to the appropriate person.